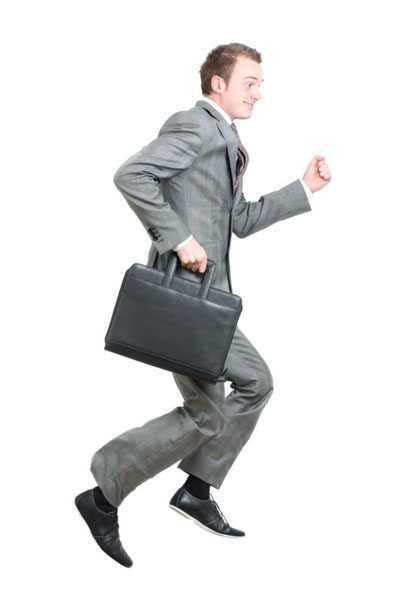 Most attorneys from large firms move at least once or twice during their first three to five years of practice. However, if you are looking at your third or fourth firm in your second year of practice, something is wrong. Several times a day, we see resumes of attorneys attempting to do this, and for the most part, we cannot help them. "Firm hopping" is taken into account by firms assessing your qualifications. Moving several times in a short time span can, in fact, hurt your ability to get a job because it leads law firms to question your loyalty and long-term commitment to the practice of law. In addition, moving several times in a short time span gives firms the impression that you may have moved because your work was not valued at your former firm. None of this is to say that any of the above factors may be relevant to your reasons for moving in the past. Yet, it is important to realize what firms are thinking and that their preconceived notions of an attorney that moves firms too often may negatively influence their ultimate decisions to interview you. Your reasons for moving need to make sense. Part of a legal recruiter's job is to explain your actual reasons for moving in a way that firms accept. The reasons that typically make the most sense to law firms are (1) quality or type of work, (2) structural firm changes, or (3) location. While these are the best reasons for making a move, it is important to note that most attorneys who have moved several times have done so because (1) their work was not well received, (2) they were asked to leave, or (3) they were unable to get along well with others in their firms. If you mention any of these reasons to an employer, you are unlikely to get hired. It is important in any job search that you emphasize reasons for moving that are likely to not prejudice firms against you over reasons that are likely to make firms not want to hire you. It is generally considered acceptable for attorneys to move due to the quality or type of work they are doing. For example, an attorney might move to bring about a transition from litigation to transactional work (or vice versa). If that is the case, such a move makes perfect sense, and employers will not be prejudiced against the attorney for moving for this reason in the present or in the past. In addition, if you want to do more sophisticated work in a certain practice area, that will also make sense. During the boom in corporate work in the late 1990s and the first part of 2000, many corporate attorneys from smaller law firms moved to larger law firms. At that time, a suitable explanation for moving was almost always something along the lines of wanting to get more "public company work" or to be staffed on larger deals. Explanations such as these were almost always considered permissible. One of the worst reasons for leaving a firm, and employers do not like to hear this, is that your firm does not have enough work. This is, in fact, one of the most common reasons that associates move. The problem with giving this explanation is that an employer is likely to assume that you are not being given much work because (1) your work is not of good quality, (2) you are not proactive in asking for work, or (3) partners do not like you. In explaining that there is not enough work at your current firm, you need to be clear with employers that there is not enough work for any of the associates and you are not alone. You also need to express this fact in a way that does not make it sound as though you are attacking your current firm. Permissible ways to explain this are to mention that there have been key partner defections in your department, that major litigation that has occupied you for months (or years) has settled, or that the firm has recently lost several major clients. However you explain this fact, you need to do it with tact and without appearing to be attacking your current firm. In addition, you need to be cognizant while giving any explanation that the employer is wondering, "Is this attorney short on work because something is wrong with him/her?" Moving to get higher-quality work or a different type of work shows ambition and a need for constant improvement. Most attorneys can explain the need to move in these terms. Conversely, moving because you do not have enough work needs to be explained in a way which connotes ambition. Many firms go through significant structural changes that have adverse effects on attorneys within the law firms. Firms can merge, offices can close, and key partners can leave; and when things like this happen at the largest firms, it is generally known by numerous others in the legal community. Each of the reasons discussed above are permissible reasons for leaving a firm if they are handled the correct way. One way that smart job-seeking attorneys can often clarify moves is by explaining that because of significant structural changes in their current firms, they do not believe there are opportunities to make partner. The former Brobeck, Phleger & Harrison's real estate practice in San Diego is a perfect example. In early 2000, this practice was staffed by two partners and three associates. One partner left in 2001, and then it was staffed by one partner and three associates. In combination with a partner defection and other market forces that were acting on this firm, the amount of available work for the associates obviously decreased quite dramatically. Because this was not a large practice area in the firm's San Diego office, it should be obvious that there were few opportunities for associates in this office to make partner unless they had a significant book of business or the partner that remained had such extreme amounts of business that he needed to elevate an associate to partner in order to further grow his practice. Because that was not the case, explaining a desire to move in this situation would make sense. When structural firm changes do occur, firms tend to look for various warning signs that may indicate you are a potentially problematic attorney. If a key partner leaves, the firm will often want to know why the partner did not take you with him/her. Similarly, if a firm merges with another and your position is put at risk, the firm will want to know why there was no one to protect you. After all, if you made yourself indispensable, the key partner would want to take you with him/her, and important partners would presumably protect you during any merger. Because firms will be thinking about these things when they evaluate your candidacy, any explanations you give for your contemplated move should certainly take these factors into account. Firms experience serious structural changes quite frequently. Most associates that are at firms that close, or where key partners leave, are quite successful in finding alternative employment quite quickly. This is a very interesting phenomenon; however, we believe the reason these attorneys find new employment so quickly is related to the fact that the move can be explained by negative forces completely beyond the attorney's control, rather than anything potentially negative in the attorney's background. Should I Stay or Should I Go: What Should Partners Do When Their Firm Merges with Another Firm? Location is often an exceptional reason given for moving. The best location-related reason for moving is that you want to move back to your home city to be near either your or your spouse's family. Reasons that firms do not like to hear for relocating are (1) better weather, (2) a change of scenery, and (3) joining a girlfriend or spouse. Firms are generally quite receptive to people who are leaving to be closer to their families. This is especially true if you moved to a large city such as New York and are going home to a much smaller legal market. Spending your first few years of practice in a major legal market can be explained as a product of your ambition to be exposed to the most sophisticated work possible before settling down at home. You can also explain this based on the fact that you thought this would be your only opportunity to practice in a major market before settling down and you therefore enthusiastically embraced the opportunity. If you commenced your career in a smaller legal market and are now moving to a larger one that is not where you grew up, the above discussion of quality of work should be used. The reason that moving home to practice is accepted so readily by firms is due to the fact that it connotes a desire for stability. Individuals moving home to practice law are likely to remain with the same firm for a long period of time. Firms do not like to hear that you are moving to get better weather or a change of scenery. Each of these reasons for moving raises the distinct possibility, in the firm's calculation, that you are unlikely to be a stable employee. Firms all over the country have been burned by associates who moved to a certain area only to be disenchanted and move again. If you are moving because of the weather, for example, this might indicate to law firms that the weather in a given city is more important to you than loyalty to your firm or the quality of work you are doing. If you are interested in moving to Los Angeles for better weather, what would you do if you were offered an equally high paying job in Maui a few years later? Similarly, if you are tired of big-city life and you are moving to a small town to practice law, what will happen if you decide you do not like the extreme of a small town and want to move to a mid-sized town? You get the idea. Moving for reasons related to weather or scenery is never a good idea. Because we cover the entire United States, we see attorneys who each year are attempting to relocate to Colorado because they like the mountains, Las Vegas because they like the nightlife, Paris because they like the culture, San Diego because they like the beach, Portland because they like the music scene, New Orleans because they had so much fun at Mardi Gras, and so forth. In a heated economic climate, where firms were literally begging for attorneys, we often made these placements with some frequency. Our candidates were more than open regarding their specific reasons for relocating with us, and the firms hired them anyway. In a poor economic climate, though, firms are far more prejudicial and unlikely to accept such reasons. It is simply not in their best interests to do so. Indeed, few attorneys who relocate for reasons such as this are likely to find happiness in their next positions. Because this is somewhat of a sensitive subject, we have saved the discussion of relocating to join a spouse or significant other for last. At the outset, we should point out that the generalizations we are about to point out do not apply to all firms. Nevertheless, we are repeating something that we have heard over and over from law firms. Law firms are not always open to an attorney's relocating to join a spouse or significant other. The reason is that in the firm's mind, it connotes that someone other than you is responsible for your career. If you are relocating to join a spouse who has found a better job, will you move again if he/she finds a better job a few years down the road? If your significant other or spouse does not like where you are currently living, will he/she like the next place you move? At their cores, most law firms are craving attorneys who can contribute to the overall stability of the firm. If you are going to make partner in a large law firm, or even assume a high level of responsibility with clients, law firms do not like to think that someone close to you may potentially influence their bottom line and your career at some unstated time in the future. In addition, the practice of law is extremely demanding. Most attorneys practicing in large cities have a very difficult time holding together families given the demands of their jobs. While the demands of the legal profession are another topic altogether, firms generally expect their attorneys to be the ones with the primary job responsibilities and their spouses or significant others to be the ones on the sidelines supporting that effort. This statement sounds backward, and we are not necessarily expressing approval for this line of thought. Nevertheless, this is how many law firms think, and it is something you need to keep in mind when explaining your reasons for moving. The fact that relocating to join a spouse may be viewed negatively by a firm needs to be understood as part of firms' overall desire for stability in the people they hire. Anything that does not suggest stability is viewed as a negative. While all of the above reasons for moving can be considered acceptable by many firms, they are only going to be accepted if they are true and if they have not been used too many times before. Firms can often check on the state of your old firm and will definitely check your references at that firm to make sure that your reasons for leaving were not negative, even though your old firm will not be likely to say they were. Also, no matter what the reason is, very few firms will be willing to listen to you if you have moved more than a certain number of times in your first few years. It shows a lack of stability, and law firms are not usually interested in taking a risk with a potential employee. You will have a very difficult time getting hired if you tell firms you are moving because (1) your work was not well received, (2) you were unable to get along with others, or (3) you were asked to leave. If you have moved several times in your legal career, your third or fourth move will cause most firms to presume that you are moving due to these reasons. While you need to be honest with every employer you speak with, you should also be very careful how you explain any move that involves one of these three issues. If you are contemplating moving because your work has not been well received, or if you have moved in the past due to this reason, it is important to do a very careful self-analysis before explaining this reason for moving to any employer. Every firm has different standards for their work. At many insurance defense firms, it is quite common to turn in work riddled with typographical and other errors. At some firms, a typographical error would be near cause for dismissal. At some firms, there are partners who are notoriously difficult to work with and set such a ridiculous standard that no associate could possibly meet it. When economic times are very rough, performance appraisals can become unnecessarily harsh to the degree that they should not be taken as seriously as they appear. Most associates in large law firms have their work criticized with a high degree of severity. While few associates speak about this, even the most talented young lawyers feel a great degree of inadequacy with respect to their legal abilities during their first year or two of practice. The reason large law firms are so harsh in their performance reviews is that they are pushing their young associates to think in different ways and have an extremely high standard for their work. While many attorneys are detail-oriented by nature before they even go to law school, the level of detail attorneys need to develop with respect to their work product and thinking process is something that most attorneys do not learn in law school. Most of this is taught through formal and informal reviews of an attorney's work. Over time, attorneys are expected to develop their skills to the point where their work does not need to be severely criticized. Generally, by an attorney's third year of practice, this should no longer be the case. If you are in your first few years of practice and contemplating leaving due to harsh criticism of your work, you should probably give yourself some time and attempt to improve to the level that is expected of you. This is something that most attorneys do. The time that other attorneys take to criticize your work should be something that you appreciate, even if they appear somewhat hostile while doing so. As your work is further criticized, your legal abilities should improve. If you moved or contemplated moving during your first few years due to criticism of your work, it is probably not a good idea to bring this up. We would estimate that a majority of the attorneys who move during their first few years do so because of harsh criticism of their work. Most attorneys facing harsh criticism of their work simply do not speak with other attorneys about this with a great degree of frequency because of internal competition or their own embarrassment. Sadly, many attorneys move for this very reason during their first few years of practice, and this movement is more related to their self-confidence and ability to take criticism than any actual problems with their development as attorneys. Because most attorneys practicing in large law firms are unusually accomplished to begin with, the level of criticism they receive in large law firms during their first few years of practice can be emotionally devastating to them. After practicing for a few years in a large or demanding law firm, you will be in a position to know whether the criticism of your work is justified. If this criticism is justified and you continue to make serious errors, you should probably do your best to find an environment in which you have reason to believe senior attorneys will not be as critical of your work or have as exacting standards. This also raises issues as to whether or not you are a good attorney, you are suited for the practice of law, and it makes sense for you to continue. One important factor to remember is that some law firms are more critical than others, and just because your work is not well received in one law firm does not mean it will be poorly received in another. If this pattern continues to repeat itself after a few moves, however, then you need to be realistic that the problem may be your work and not the firm. If this is the case, it might be a good idea to consider whether you want to continue practicing at the same level. It is important to recognize that some degree of politics exists in virtually any law firm environment, whether large or small. In fact, it exists in most office environments, including those outside the practice of law. The key to succeeding, then, is developing the skills to strategically navigate these sometimes difficult situations. These skills generally develop with time and exposure to a wide variety of situations. There are many different types of personalities, and some attorneys are more suited to working in a law firm environment than others. Getting along with others is among the most important aspects of practicing in a law firm environment. Because attorneys spend countless hours with each other at work, they do not want to be around (or hire) attorneys that are likely to have personality conflicts with other attorneys. Firms are economic engines, and attorneys who are critical of the environment or other factors related to personalities in the firm are seen as people who put the firm in danger. Explaining the political games you have encountered in your positions at law firms may not be a good idea when interviewing with prospective employers. First, it is generally not a good idea to badmouth your current employer to a potential employer. Depending on the type of environment you are leaving, you may call into question your ability to integrate yourself into the environment at the firm that is interviewing you. During the interviewing process, firms are generally wary of candidates whose main complaint is some sort of personality conflict. You should be clear that your reason for moving is not a problem with the law firm environment as a whole, lest you come across as someone who works against the system. Firms primarily want attorneys who are hardworking, flexible, have the ability to deal effectively with other colleagues in the firm and with clients, and ultimately have developed the key skills to understanding and dealing effectively with political situations within the firm. You are encouraged to take a long look at the factors that influenced past departures from the law firms at which you worked. If they are all mainly political, you should consider making a list of the characteristics you are looking for in your new firm environment. You should also consider whether your attitude and approach to problems within these large law firms in any way contributed to your overall unhappiness and departure and whether there is anything you need to change in your approach. We suggest this because of what was mentioned earlier: You will encounter this in every single legal environment, whether you make a move to a big, medium, or small law firm or an in-house position. It is important to learn through these experiences so that you can enhance your ability to make a successful move this time. If you are qualified to do so, we would also suggest you engage the services of a highly qualified search consultant, who will understand and be sensitive to your concerns and career goals and will seek to assist you in finding the right firm at which to advance your long-term career goals. If you were asked to leave any of your past firms, this is generally not a good topic to bring up as a reason for moving. You need to understand that a large percentage of attorneys have been fired at some point in their careers. How this is handled is the important thing. The justification that firms give for asking an associate level attorney to leave is generally related to the quality of the associate's work. Sometimes this explanation is accurate and a lot of times it is not. You may be asked to leave due to your seniority, the fact that you are not billing enough hours, or a major downturn in the firm's work. In most respects, however, associates are asked to leave because they do not get along well with partners or others of authority at the firm. Conversely, very few firms actually ask associates to leave because they perceive their work quality as poor (although this is the explanation most frequently given by firms when they do not like someone). If you have been asked to leave a firm, this sends all sorts of negative messages to a potential employer. If you were asked to leave because the firm you were at did not have enough work or you were not going to make partner, the employer will be thinking to themselves that not all associates were asked to leave, so why were you, in particular? There must have been something about you or your work that motivated the firm to ask you to leave instead of others. You get the idea. If you are asked to leave a firm, you need to de-emphasize this fact in your discussion with future employers. Most employers will not directly ask this question in interviews and if a firm did ask you to leave they will very, very rarely tell this to anyone who calls them to check references. It is interesting to us that the largest firms will often give the best recommendations to the associates they ask to leave. Smaller firms tend to give the harshest recommendations. While this is something that is not often discussed, the largest firms actually want associates to leave after several years of practice because they depend on a constant stream of associates to show up and earn them large profits for several years and then depart before making partner and taking a share of the profits. Indeed, we have very rarely seen the most prestigious New York City law firms ever give a negative evaluation of the work done by one of their former associates. Smaller firms, however, have less at stake and are often not as highly dependent upon a constant stream of associates. See Associate about to Be Let Go Unsure How to Handle Reason for Leaving in Interviews for more information. If you have moved too many times within a short time span, firms will likely conclude that you are likely to move again—no matter what your reasons were. What is so unusual about this discussion of "firm hopping" is that most of the reasons that attorneys actually move are wholly unrelated to the reasons that are actually acceptable reasons (in the law firms' eyes) for moving. While this article could have spent a considerable amount of time discussing additional reasons to justify moves, each of the acceptable reasons can be summed up in one sentence: I am moving, but I am a stable and good attorney. Similarly, the unacceptable reasons for moving can be summed up in one sentence: I am moving because I am unstable and may not be a good attorney. Have you ever had to explain why you made a particular move in a law firm interview? How did it go? Share your experience in the comments below.